With the holiday season upon us, there are so many delicious dishes being served and eaten, but how healthy is all the wonderful food we are consuming? 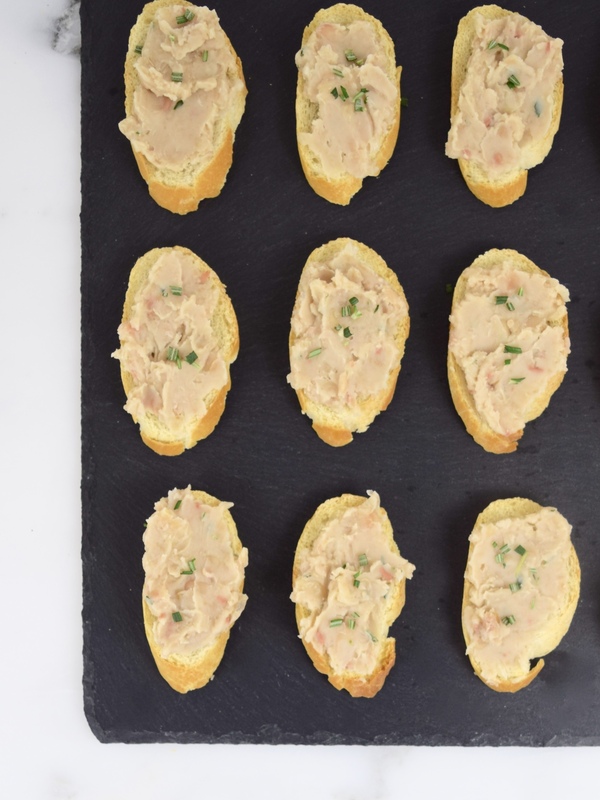 I thought I would share an easy to make, tasty and healthy white bean crostini appetizer I found on Pinterest. It originated from the House Beautiful website, but it only had a description, so I had to doing some experimenting. Fortunately, it wasn’t too hard to figure out with just 6 ingredients and that included the bread! It’s the kind of dish, where you can easily make adjustments to suit your tastes. 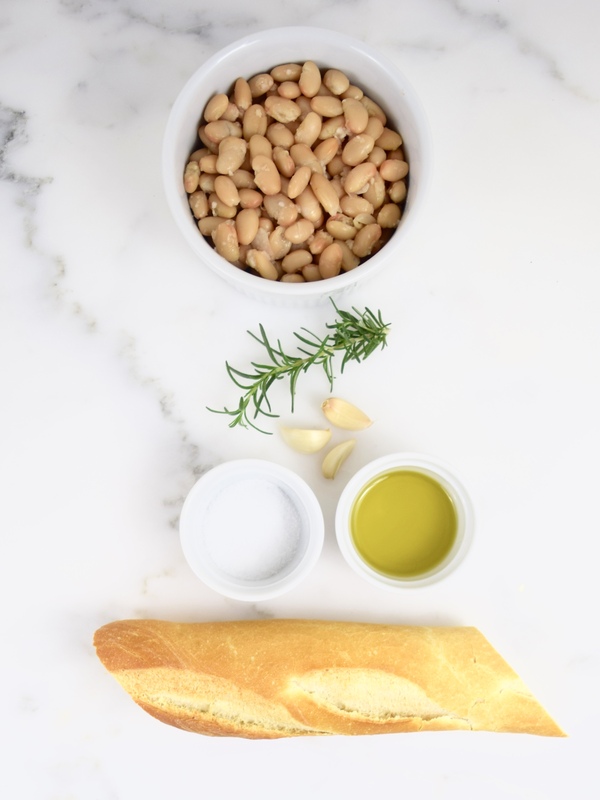 It’s a classic Italian appetizer with olive oil, garlic, rosemary and white beans! Just perfect for the holiday parties! Preheat oven to 350 degrees. 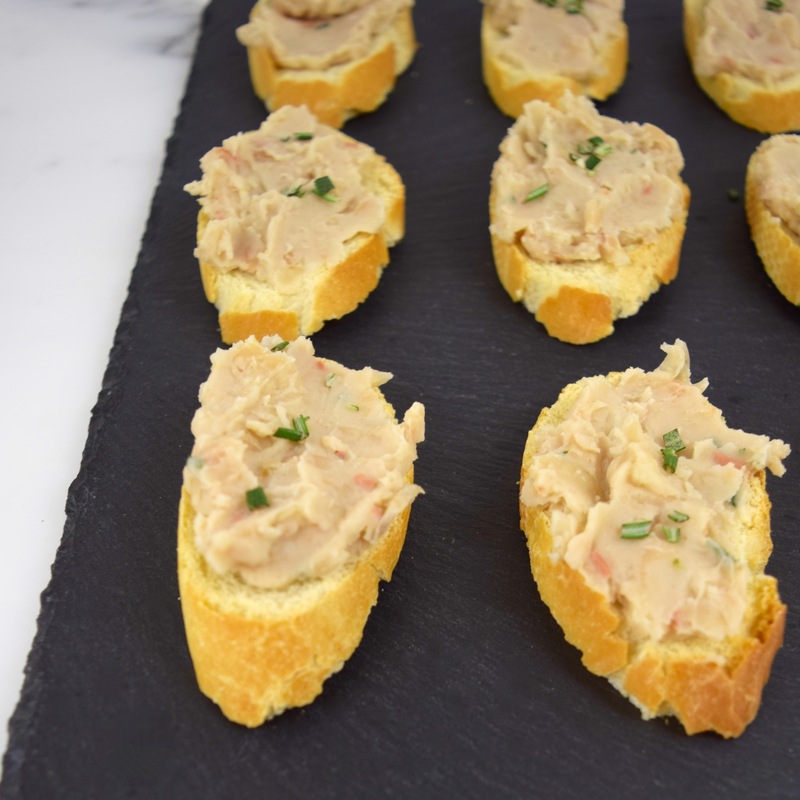 Place baguette slices on a baking sheet and toast until lightly brown, about 5 minutes. Remove from oven and set aside. In a small saucepan, heat olive oil over medium heat. Add garlic and rosemary and cook until fragrant. Add the white beans and mash well. Finally, add salt to taste. Mix well. Spoon the bean mixture on the toasted baguette slices. Sprinkle with rosemary. Serve immediately.